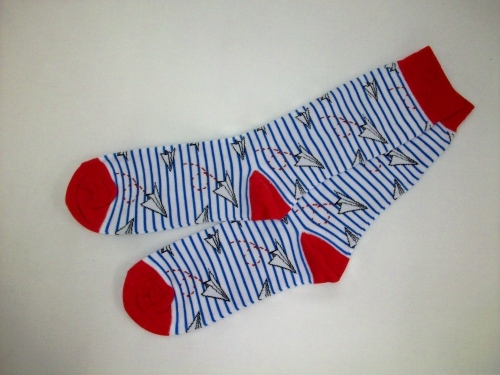 Men's paper airplane crew socks. One size fits most. These socks are crafted using the finest combed cotton to create iconic designs that represent every lifestyle.